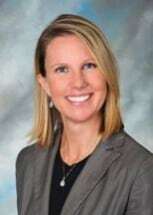 Erin B. Reynolds is Senior Counsel with Bush Graziano Rice & Platter. She was raised in the Tampa Bay Area and received her undergraduate degree in Political Science from Florida State University in 2002. While attending Florida State University, Erin was an active member of Mortar Board National Honor Society, Student Alumni Association, and Greek Ambassadors. Erin received her law degree from Mercer University in 2006. While at Mercer, Erin clerked at the District Attorney's Office for Bibb County, volunteered at the Legal Services Clinic, competed in oral argument competitions, was an officer in Phi Alpha Delta legal fraternity, and several other campus and community organizations. Erin was admitted to the Florida Bar in September 2006. Erin joined Bush Graziano Rice & Platter in July 2007. She is a member of the Florida Bar and the Hillsborough County Bar Association, and is also admitted to practice in the United States District Court for the Middle District of Florida. Her practice focuses on long-term care defense, medical malpractice and general civil litigation.